Lenovo-owned Motorola’s Moto G6 is yet another winning mid-range smartphone. With a sleek, metal-and-glass body, dual rear-facing cameras and a bigger battery than last year’s Moto G5, the Moto G6 is the perfect smartphone for most daily users. While it’s easy to recommend the Moto G6, an almost $100 CAD price increase compared to last year’s model and incredibly limited Canadian availability make the Moto G6 something of a tough sell. In my hands-on for the Moto G6, I emphasized that the device represents a truly premium evolution from the Moto G family’s usual sub-premium aesthetic. That’s all to say that the Moto G6 looks like and feels like a smartphone that should cost quite a bit more than its $349.95 outright price — an increase of almost $100 compared to the $250 Moto G5. 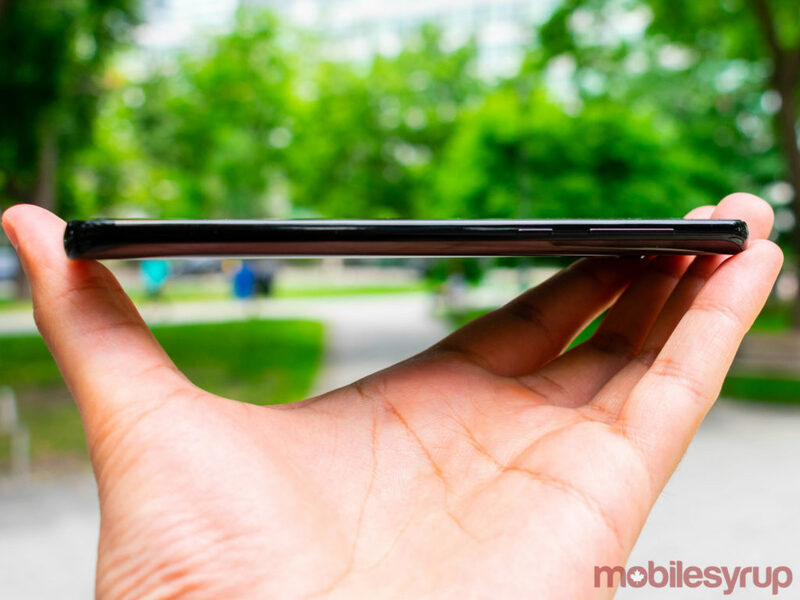 The phone’s front and back are wrapped in curved 3D Gorilla Glass 3, the sides are made of smooth aluminum, and the Moto G family’s trademark forehead and chin have been replaced with top and bottom bezels that are sleek and slim. The volume rocker and power buttons are also well-placed and clicky, while the phone’s thin front fingerprint sensor is both quick and responsive. The device’s 5.7-inch, 1080 x 2160, Max Vision display with its 18:9 aspect ratio provides a satisfying viewing experience and reproduces colours accurately. The Moto G6’s screen isn’t going to win any awards, but it’s certainly good enough for gaming, YouTube and Netflix. In spite of the lacklustre screen, this is undeniably the most attractive Moto G smartphone that Motorola has ever built, and there isn’t a single aspect of the device’s physical appearance that isn’t designed to be eye-catching. Even the Moto G6’s camera bump — a new addition, since the Moto G5 didn’t have such a bump — is built in a way that accentuates the phone’s curves and contours. The phone is also coated in P2i liquid repellent nano-coating technology, which means that the Moto G6 is splash-resistant, but not water-resistant or waterproof. That is to say, you can use the phone in the rain and you can spill a shallow glass of water on it, but you absolutely can’t take it swimming or diving. If there’s any single point of complaint, it’s the inclusion of a gaudy and irremovable Conformité Européenne (CE) sticker on the back of the phone. Why Motorola chose to slap on a CE sticker rather than etching the CE marking into the phone is beyond me. 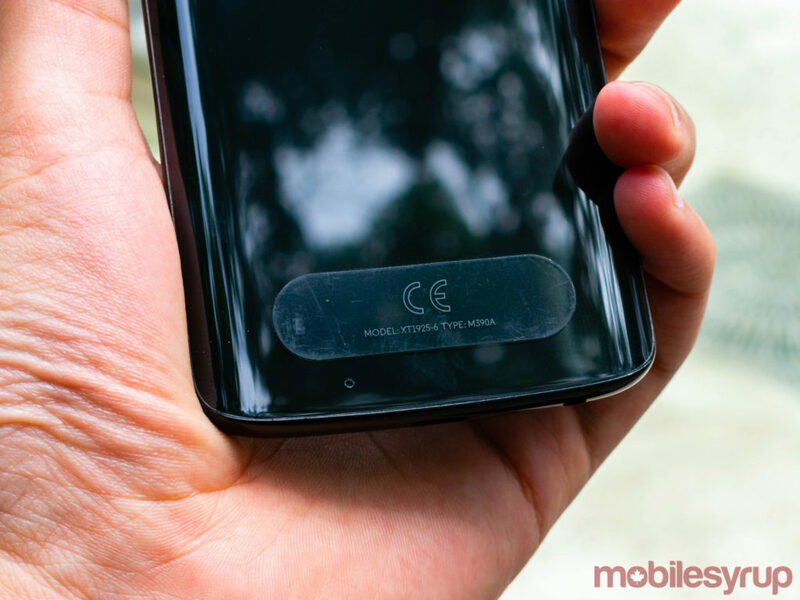 The sticker adds an elevated layer that takes away from the phone’s seamless fit in a user’s hand, and is perhaps the only physical blemish on an otherwise exquisitely manufactured mid-range smartphone. As a final point regarding the phone’s physical design, the Moto G6 has a 3.5mm headphone jack. Of course, all of those hardware flourishes would be completely wasted if the Moto G6’s operating system was headache-inducing. 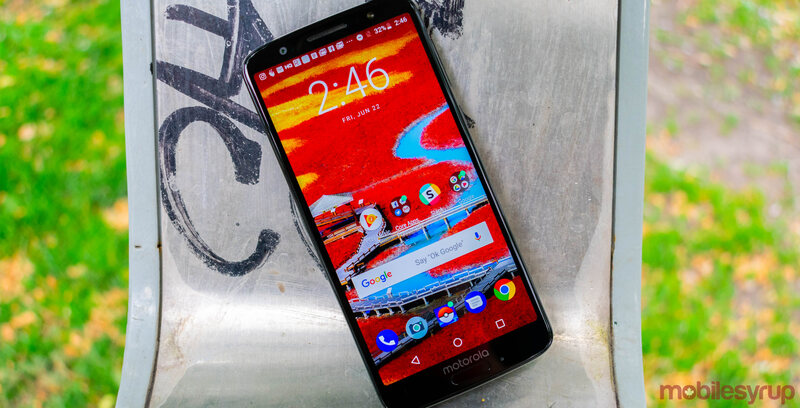 Thankfully, Motorola has once again chosen to provide users with a near-stock Android experience that not only keeps everything great about the operating system, but adds a few welcome tweaks that can be ignored if one so chooses. The Moto G6 runs a stock version of Android 8.0 Oreo that doesn’t include any Motorola-themed duplicates of Google apps. Instead, returning to the Moto G6 are the full suite of Moto Actions, including chopping twice to activate the flashlight, twisting the phone to activate the camera and the ability to maximize the phone’s screen real estate by navigating using the device’s fingerprint sensor rather than onscreen navigation keys. 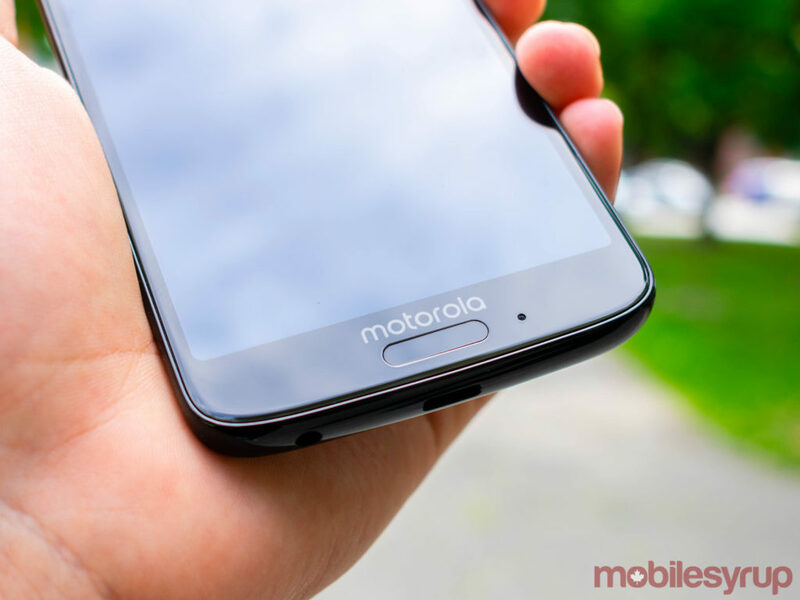 Moto Actions remain an integral part of the Motorola smartphone experience, but as more and more Android hardware manufacturers incorporate their own Moto Action-style tweaks — like double-tapping the power button to activate the device’s camera — into their devices, Moto Actions continue to be a less-than-convincing attraction. The phone also comes with a face unlock feature that uses the phone’s front-facing selfie camera. Face unlock is snappy and effective and I was unable to fool it using a photo on a phone or laptop, but users should still be wary of facial recognition as a security tool. Face unlock is a fun feature to try out, but I quickly switched back to using my fingerprint for security. The Moto G6 features a Qualcomm Snapdragon 450 processor, 3GB of RAM, 32GB of internal storage (upgradable to 128GB with an external microSD card) and a 3,000mAh battery. The Snapdragon 450 is Qualcomm’s second-lowest class of mobile processor and was designed to be included in lower-tier mid-range handsets. One would, therefore, be excused for assuming that processor’s performance — indeed, the Moto G6’s performance — would be less than adequate. However, thanks to the Moto G6’s stock Android operating system — and the phone’s minimal software flourishes — the Snapdragon 450 is able to do its job without being burdened by weighty launcher skins, duplicate apps and unnecessary background processes. Case in point, I was able to stream music over LTE, play Pokemon GO, respond to SMS and other messages without any of the associated apps stuttering or crashing. Of course, the Moto G6 isn’t able to handle these multiple processes as speedily as something like the Xperia XZ2 with its Snapdragon 845 processor, but the Snapdragon 450 isn’t designed to rival the Snapdragon 845 in the first place. What might disappoint, however, is the handset’s 3,000mAh battery. The phone is able to get through almost a full day of emails, texts, phone calls, web browsing, music streaming over data, video streaming over Wi-Fi and approximately 45 minutes of Pokemon GO, but not without some effort on my part to conserve the phone’s battery. The Moto G6 will survive an average day of use, but power users who rely on their smartphones as secondary computers will not be impressed by the phone’s battery. Thankfully, the phone can be charged quickly with compatible chargers — including the TurboPower charger included in the box — but that doesn’t change the fact that the phone’s battery is a little underwhelming. 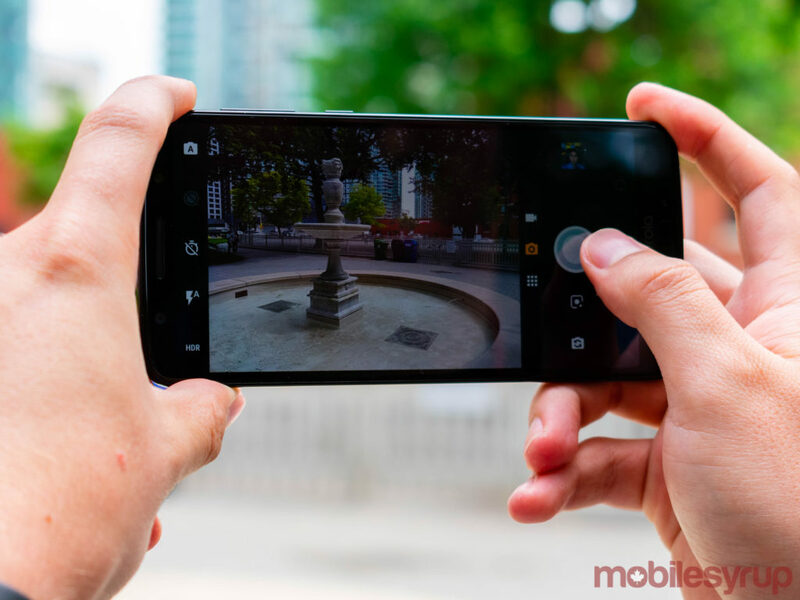 Equally underwhelming are the phone’s 12-megapixel and 5-megapixel dual rear-facing cameras. The cameras produce passable, unspectacular images that will be welcome on social media and almost nowhere else. Colours are dull, image quality is adequate, and zooming in on photos reveals a distinct lack of sharpness. Additionally, the camera performs poorly in low-light conditions. Take the Moto G6 to a room without a lot of natural light and the phone’s camera is incapable of shooting a great photo. The Moto G6 can also record Full HD video at 30 and 60 frames per second. Once again, while the camera is able to record video appropriate for Facebook or Instagram, the Moto G6 most likely won’t be used to record Steven Soderbergh’s next feature-length film. 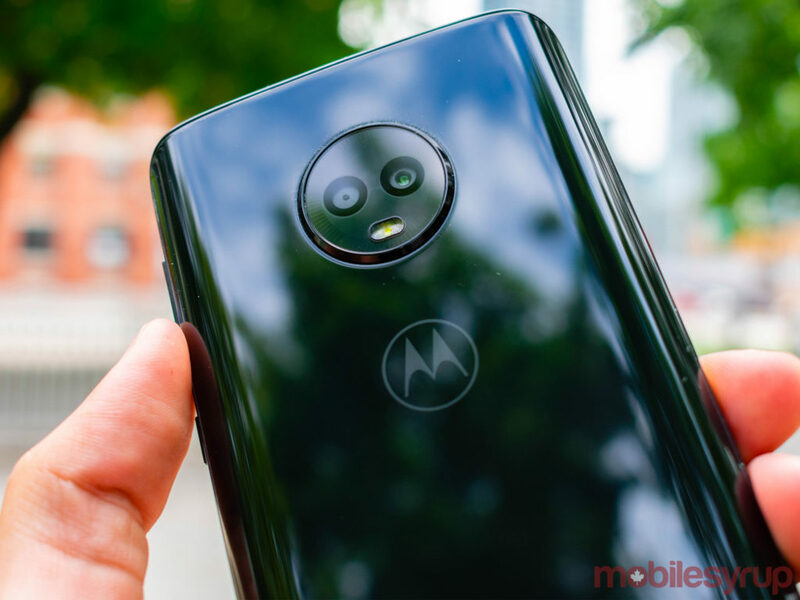 What makes the Moto G6 camera interesting, however, is that Motorola chose to include a number of novelty camera modes, almost intended as a way to add more vivacity to the kinds of photos taken with the smartphone. Among those novelty modes is a portrait mode; a timelapse mode; Snapchat-like face filters for both photographs and videos; as well as a spot colour mode that allows users to isolate the colours of a subject while turning the background black and white. 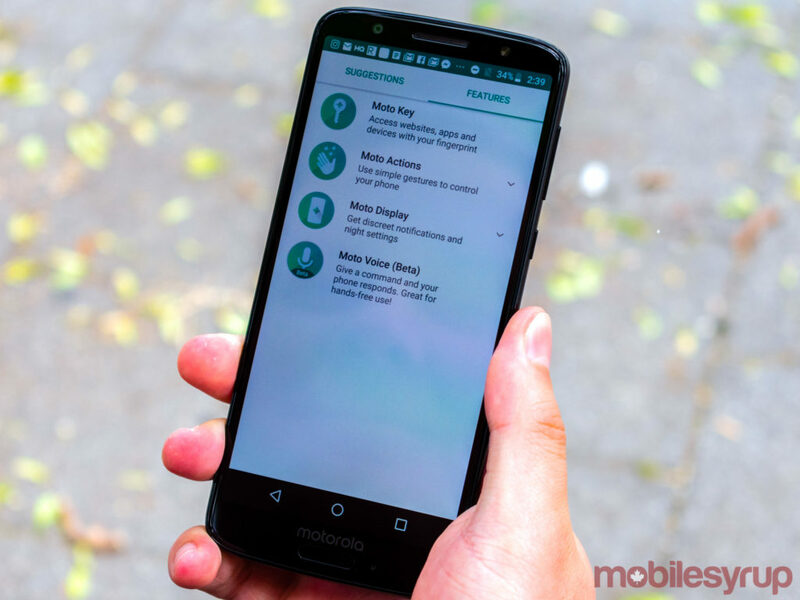 The Moto G6 also includes a text scanner that works best with business cards and street signs without a lot of additional design elements, and proprietary object recognition. On the subject of object recognition, Google Lens is also now built into the Moto G6’s camera. However, both Motorola’s own smart camera and Google Lens are unable to provide anything more than cursory details about an object. 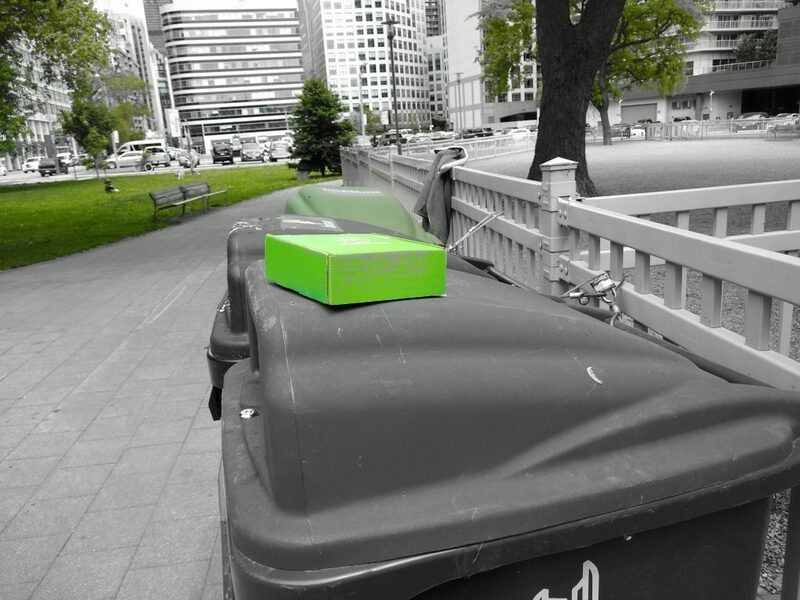 For instance, the smart camera can recognize a laptop — sometimes even a MacBook — but fails to identify obvious landmarks like the CN Tower. 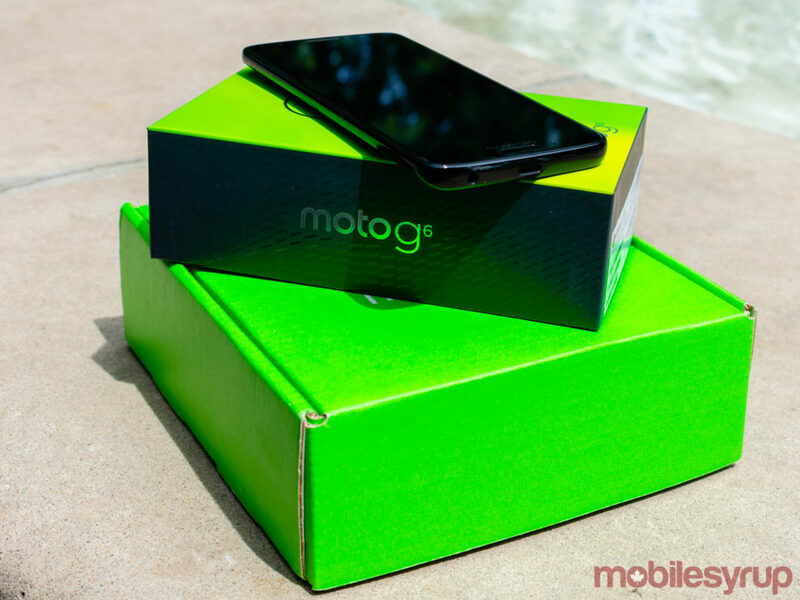 The Moto G6 costs $349.95 CAD outright, but is available at Quebec-based regional carrier Videotron for either $0 or $99.95, depending on the plan. Additionally, the Moto G6 is available on Amazon.ca for $369.72. The Moto G6 feels like the natural evolution of Motorola’s work in the Android smartphone space. It’s a mid-tier phone that looks and feels like a premium device, with a number of caveats aimed at maintaining the phone’s relatively affordable price. In spite of the device’s unimpressive camera and slightly underwhelming battery performance, it’s very easy to recommend purchasing the Moto G6. The Moto G6 might just be the best mid-range smartphone released this year so far.